Slots.lv has always been big on Bitcoin for deposits and withdrawals. With today’s announcement of a 300% welcome bonus, plus 8 reloads at 150% - you could say that they have gone ‘all in’ on the world’s most popular cryptocurrency. You might already know that this casino is US friendly. They also accept players from select legal gambling destinations around the world. I have split the info below into two. First, you’ll find out about what to expect from the Slots.lv casino. This covers the 3 types of software, exclusive games and player promos. 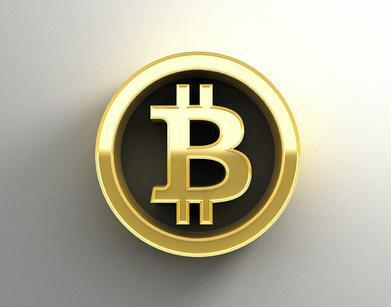 After that, more on the new Bitcoin bonus, including play-through requirements and those all-important weightings. What to Expect at Slots.lv Casino? There is a clue in the name as to the main focus of this online casino! There are 100’s of online slots. Unlike some of the other offshore US friendly casinos, which just have one type of software, there are 3 separate lists of slots here. All 3 are worth checking out, though for slightly different reasons. If you have never seen a BetSoft slot, then this should go straight to the top of your ‘must see’ list (even if only with play chips). The animation technology and graphics are simply stunning, with 3D characters and special effects on the reels. 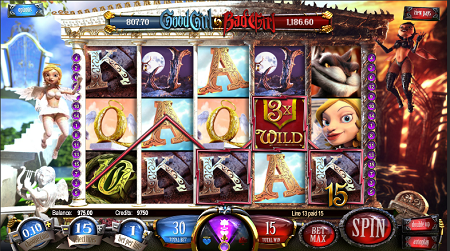 Many BetSoft slots also have multiple bonus games, including some specuacular sequences. My favorites include Good Girl / Bad Girl and Alkemor’s Tower. These games are the closest to Vegas style live slots of the 3 types at Slots.lv. Solid titles, with free spins games and the occasional picks round have classic themes taking in Egypt, Rome and more. Popular titles include the classic ‘Shopping Spree’ and the big progressive jackpot of Aztec’s Treasure. There are a lot of video slots in the Rival Gaming range. Some are Vegas style, while others are more complex. The flagship titles have progressive storylines. As you play you progress through different bonus rounds. These games are known as ‘iSlots’ and include the 3 different games in the ‘As the Reels Turn’ sequence. You will also find some exclusive slots at this casino (shared only with the other casinos in their group). These include Bulletproof Babes and Zombies vs Cheerleaders. I should mention that there are table games too, along with video poker and novelty games. $7500 is a big bonus by anyone’s standards. This does not need to be taken all in one go though. In fact, Slots.lv will allow you to spread it over 8 different instalments. The first of them gets a 300% match… for every $100 (equivalent in Bitcoin) that you deposit, you’ll get $300 in bonus money - $400 at take to the slots. The maximum you can get for this first deposit is $1500. After that, there are 8 more reloads, to be taken within a 60-day period. Each of these is generous too, at 150% of the amount you deposited. There are codes to use along with these bonus offers. This bonus has a 35x wagering requirement, based on the combined deposit + bonus amount. Casino table games including Pai Gow, TriCard Poker, Caribbean Stud and Let ‘Em Ride have a 20% weighting. Other table games have 10% or 5% weightings and craps does not count. This is an average play-through, nothing special – though not too hard either. You’ll enjoy a lot of promotions at slots.lv, and I mean a lot. To start with there is the ‘MySlots’ reward program, which gives you extra bonuses and exclusives as you collect comp points playing the games. You can also get a $25 chip for trying out the mobile slots games, and extra $10 for sharing on Facebook and weekly reload bonuses too. There are plenty of one-off and short-term promotions in addition to these. Keep a close eye on the www.slots.lv website to make sure that you do not miss out. You can find out more on how to set up a Bitcoin wallet and make casino, sportsbook or poker deposits in this article. This is now a super-simple process, no more difficult than (for example) setting up a PayPal account.